Jimmy Garcia’s The Lodge can be found in Balham this winter. An Alpine pop-up serving incredible cheese fondues with hot cocktails and mulled wine in the cosiest of settings, it was the ultimate haven from cold winter nights. We hope to see it popping-up again in the autumn! Summer 2013 saw the The Shed, a bright red National Theatre initiative, pop-up on the South Bank. Celebrating new, original and ambitious theatre, this pop-up was so popular its residency was extended! Pitt Cue, a trailblazing rib joint well known for its incredible food, often has long queues that are totally worth it! We first discovered the team as they honed their skills in a pop-up trailer under a bridge on the South Bank, and we’ve been hooked ever since. Believe it or not, we completed a training course at the Dead Dolls House in Hoxton Square last year. It was definitely one of the coolest training venues we’ve been to, hanging out in The Parlour, The Ballroom and The Drawing Room! And of course, we get really excited about the Pop Up Vintage Fairs, which can be found in some of London’s most beautiful venues – including Wilton’s Music Hall – throughout the year. Maybe see you there soon?! 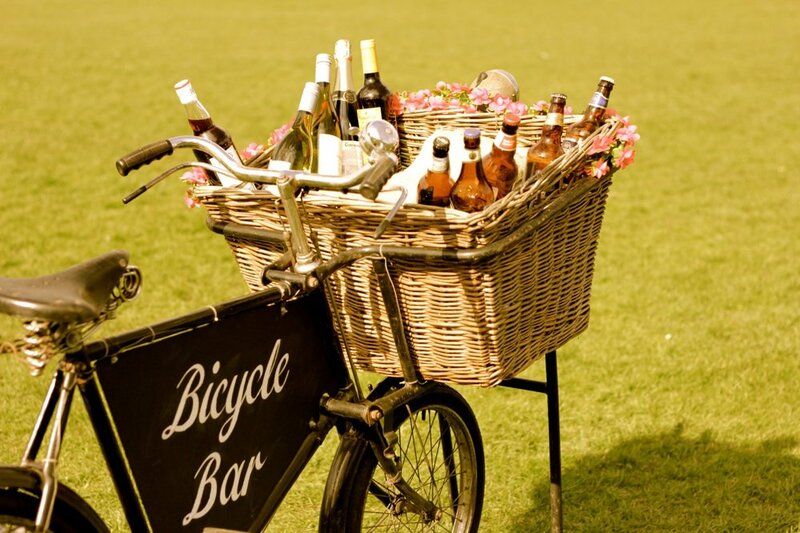 In a vintage watering-hole on wheels, our Quirky Bars truly can pop-up anywhere, and we will be making appearances at festivals, events and fairs across London (and beyond!) this summer. Pop along and see us sometime!